Our company has been operating on the territory of W3 Acton for a few years now and has been known as a reliable provider of various cleaning operations around London. 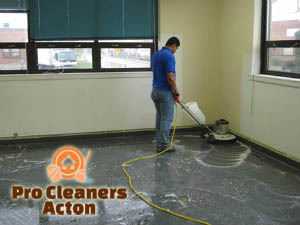 He offer you great variety of hard floor cleaning and polishing services that are suitable for both our customers’ homes and businesses and come at excellent prices. We can guarantee that the job will be perfectly done thanks to our hard-working staff and powerful equipment. In addition, all our service packages come at low and reasonable prices to make sure our customers are left happy with the cleaning solutions we provide. Our company has long been a fair partner of residents and business owners not only in Acton, but also in the rest of the London areas. We promise that our hard floor cleaning and polishing services will offer you the best quality at the lowest prices and guarantee that nothing but perfection will be provided to you, your family and employees if you choose our service packages. Our company is an experienced provider of the best quality maintenance for your hard floors at home or at your commercial building. These kinds of flooring have specific needs and should be processed with special equipment in order for maximum results to be offered. Apart from the dirt, dust, soiling, bacteria, grime cleaning, our hard floor cleaning service also includes special polishing procedure that is carried out by our professionals. The job is done by using special buffing machines that are quite efficient, so that we made sure that your hard flooring will be left perfectly maintained in return to your money. You can easily find us in W3 London by calling us on the phone or sending us an e-mail. 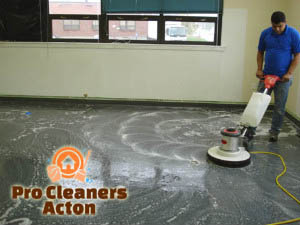 Do not hesitate to book your hard floor cleaning and polishing quote today!